Metal Epoxy Dispensing Gun EPC-112. Used to dispense our EPC-410 Epoxy Cartridge. Simple to use, very durable construction. You pull the silver lever on the left side and pull back on the black plastic piece on the rear of the epoxy gun. Once this is done, you can rotate the front plastic section to allow you to insert an EPC-410 Epoxy Cartridge into the epoxy gun. Rotate it back into standard position, once you add a mixing tip to the cartridge you can pull the trigger on the gun and it will mix the two part epoxy together and dispense out of the mixing tip. I hope that helps, please let us know if you have any additional questions. Does the gun come with a glue cartridge? 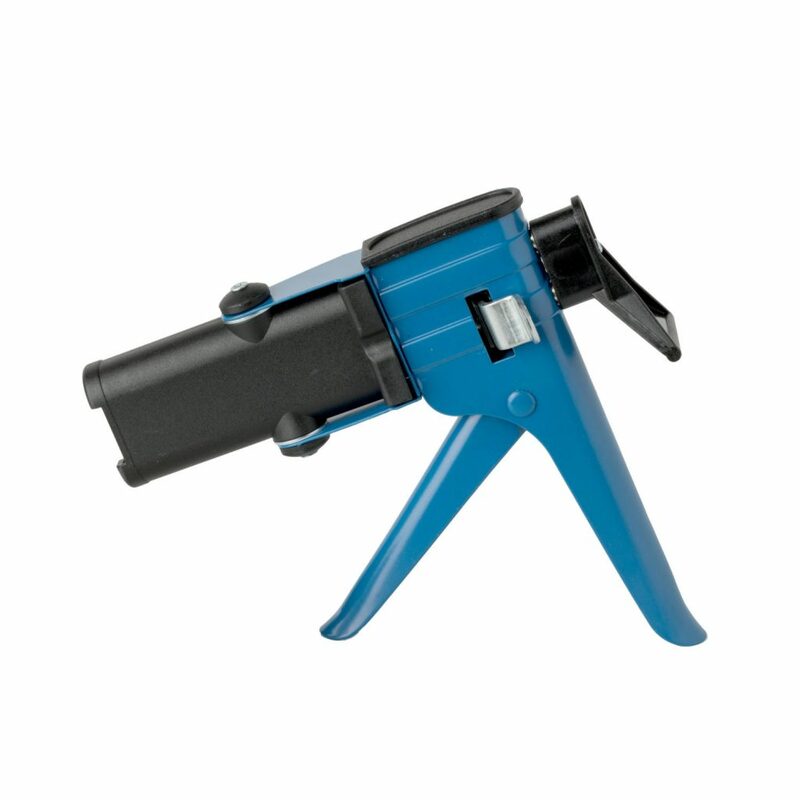 The epoxy gun is sold by itself, but we do offer epoxy that you may purchase separately. Please let us know if you have any additional questions!